우리는 무료하고 매일 같은 일상을 벗어나기 위해 페스티벌을 찾는다. 페스티벌이라는 말만 들어도 설레고 두근거린다. 많은 사람들이 함께 같은 음악을 들으며 즐길 수 있는 페스티벌의 두근거림을 내가 직접 기획 해 보았다. 너무 그래픽적인 포스터보다 일러스트레이션의 맛이 살아있는 포스터를 만들고 싶었다. 매일 보는 것이 아닌 특별한 것이 더 해 졌으면 좋겠다고 생각하여 몬스터를 주 캐릭터로 그리게 되었다. 일렉트릭 몬스터 네이션은 음악을 좋아하는 몬스터들이 여는 야외 음악 축제이다. 무섭고 흉측한 몬스터가 아닌, 익살스럽고 낙천적인 몬스터들이 여러분을 반긴다. 음악은 요즘 많은 관심과 이슈가 되고 있는 일렉트로닉 음악을 위주로 하며, 아티스트 라인업 역시 세계에서 알아주는 디제이들로 구성 하였다. 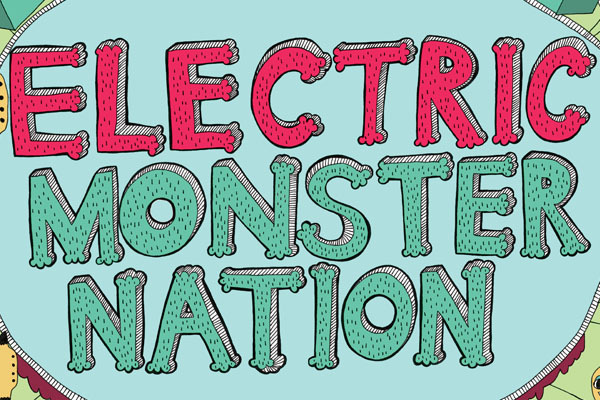 Electric Monster Nation is an electronic music based festival where electric monsters are ready to party. Don’t expect any freaky monsters but wacky monsters whom are eager to see you enjoy the festival. 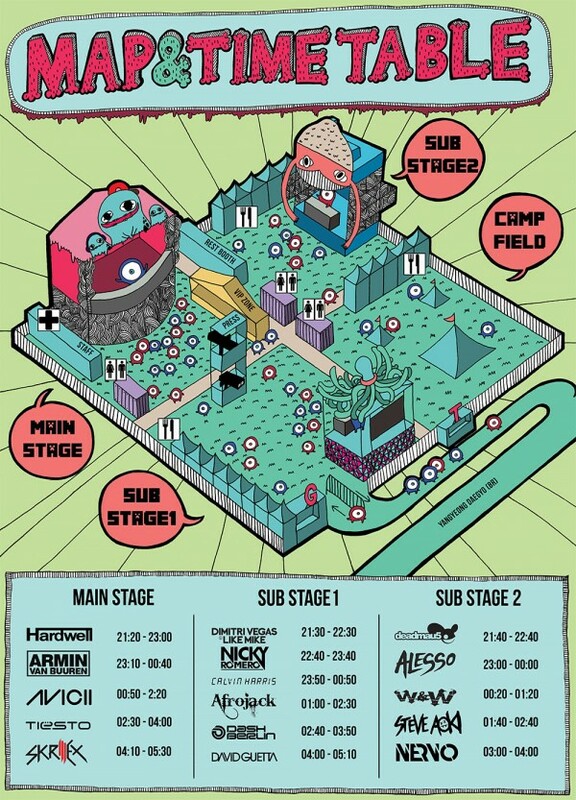 reason why I made these monsters is because there should be something special, something beyond just a festival. People come to festival to hear the music, but also in need of something you don’t expect in daily lives. Not only that, EMN has the most popular and famous DJs line up ready. Now be my guest to the Electric Monster Nation.